Punditeer: What If The US Kidnapped Edward Snowden? What If The US Kidnapped Edward Snowden? Edward Snowden is in talks to return to the United States from Russian exile, according to news reports. He is ready to face justice, but only on condition he be given a fair and impartial trial. Snowden said last year he didn't want to go to jail, as that would serve as a bad example for whistleblowers. With that in mind, it's hard to see Snowden returning without a guarantee that jail is off the table, and surely he would prefer to perform "community service" in lieu of prison, if only that option were offered by him and accepted by the US government. President Obama isn't about to agree to that. The only guarantee Obama would make is to make sure Snowden spends years in jail. The reason isn't so much for the secrets he spilled, but something much more important to Obama. Snowden embarrassed him on the world stage, and that can never be forgiven. If Snowden doesn't return of his own free will, is it conceivable that the US could abduct Snowden from Moscow and bring him back the the United States to face trial against his will? The historical antecedent is the case of Adolf Eichmann, the Nazi who was abducted by Israel's Mossad from his home in Buenos Aires, Argentina in 1960. But this is the year 2015 and the place is Moscow, the stomping ground of Vladimir Putin. Suppose a CIA kidnap team went to Moscow and somehow abducted Snowden and managed to transport him out of the country under the nose of Putin and his police/intelligence services. Not impossible but certainly unlikely. Snowden is brought to the US, awaiting trial in his jail cell. The fallout of the US government kidnapping Snowden from Russia would be felt worldwide and would likely be catastrophic for the US, its reputation, and its relations with both its friends and enemies. The US just has violated the laws and territorial integrity of a sovereign country that is one of its greatest enemies on the planet. A nation that in recent days has seen a prominent political rival of its leader murdered on the streets of Moscow not far from the Kremlin. A diplomatic crisis affecting the entire world has just begun. Among Putin's responses I assume would be the abduction and/or assassination of an appropriate individual living in the US. Who pays the price for the capture of Snowden? And how many victims will satisfy Putin so that he is assured the price for abducting someone like Snowden living in Russia is far too high? And this is just the unofficial, extra-judicial response. The outcry from world leaders of nations both friendly and antagonistic to the US would be deafening. Many would demand that Snowden be set free immediately as the only way to avoid serious and long-term diplomatic hardships between the US and the rest of the world. Massive demonstrations would be held in major American cities in support of Snowden, just as in all the foreign countries. 24-hour vigils at his prison accompanied by hunger strikes, "civil disobedience," shutdown of traffic in large cities, and so on. Snowden can expect a great deal of sympathy from the news media both at home and abroad. Commentators would gleefully incite crowds to continue and increase their acts of civil disobedience. In short, Snowden would gain the sympathy of the world at the expense of the US government. Immediately upon his capture and exit from Russia, President Obama would appear on TV explaining his position, why it was necessary to abduct Snowden, asking Russia to excuse the violation of their sovereign territory, making the case that Snowden committed horrendous crimes, caused grave damage to national security, and must be held legally accountable rather than live a comfortable life in Moscow. Obama would guarantee the world community that Snowden will receive a fair trial and impartial trial. 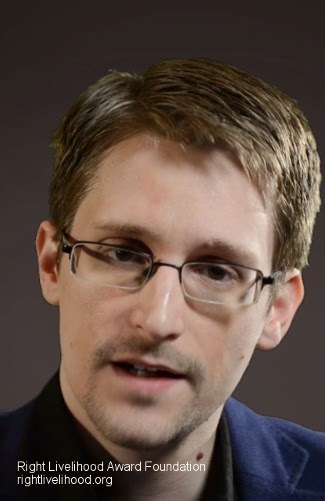 If Snowden were a citizen of any other country and did the same thing with their secret documents, he would be considered a criminal by them as well. Who is the highest profile celebrity lawyer in the world? We could well see him defending Snowden. Like the OJ Simpson trial, several famous lawyers would eagerly want to defend him if only for the publicity and notoriety. The price the United States would pay for abducting Snowden from Moscow would be far too high to pay. The CIA has undoubtedly told Obama that a mission to capture Snowden at his home in Moscow would very likely end in failure. And whether it were successful or not, the fallout would damage the interests of the US for a long time to come.